Hotel Nippon takes its place in history as one of the country’s first 5 hotels. Built during the colonial era, this Heritage property is protected by the Archaeological Department of Sri Lanka and the Urban Development Authority. While the façade of the beautiful colonial property remains lovingly preserved, this independently run city hotel has been fully, and elegantly renovated and refurbished with a 4 Star level rating. In an age where time and access are paramount, Hotel Nippon’s location is one of its biggest advantages. Set in the very heart of the city, the hotel makes an ideal base for any traveler. At Hotel Nippon your stay is our business. 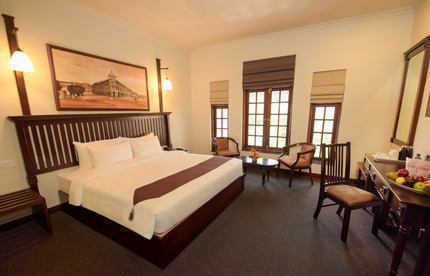 With 49 cozy yet chic rooms on offer, your privacy and comfort are our top priority. Choose from our Standard, Deluxe or Superior Suites; while our beautifully appointed Family Suite is perfect for those travelling with their loved ones. 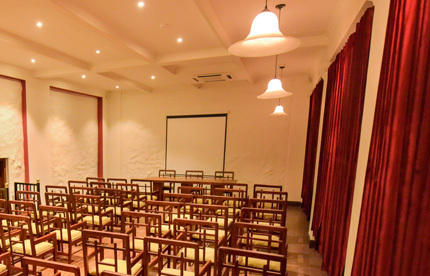 Our versatile meeting space – Crimson 123, is ideal for those hosting small scale events that cater to an intimate number of guests or participants. Our events facilities are enhanced by our excellent service staff, and renowned food and beverage options. 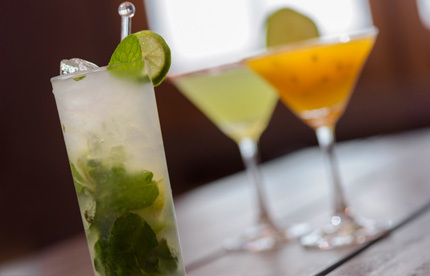 The Hotel boasts a restaurant famed for serving Sri Lanka’s best, authentic Indian cuisine; a café whose name is synonymous with the most delectable short eats in town, and a well stocked bar that offers Happy Hours.